NEW OPENING TIMES FOR THE TEAROOM ONLY!! 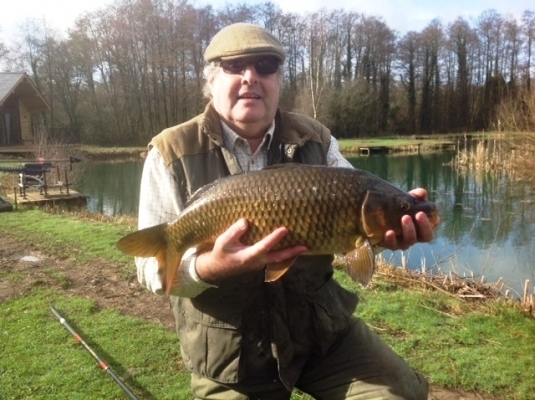 Dandy's Ford Fishery has been specifically and sensitively designed and constructed by the present owners, in an area which is blessed with an abundance of wildlife and in an utterly beautiful and tranquil setting. One can often see kingfishers catching the fish fry, the deer grazing by the lake side or dragonfly gliding tantalizingly over the waters of the lakes. The facilities on the site have been recently designed and constructed to a high standard. The lodge / tea room is a barn type, timber framed building with a warm welcome. The tea room serves home made light meals, teas, coffee and cakes. The fishermen can have a leisurely home cooked full English Breakfast before a relaxing day at the water's edge. Visitors can sit on the patio overlooking the lakes and simply enjoy the most tranquil of settings whilst enjoying a tasty cuppa. Group bookings are taken with a breakfast prior to fishing and tea and home made cakes served after to reflect the perfect day's catch. 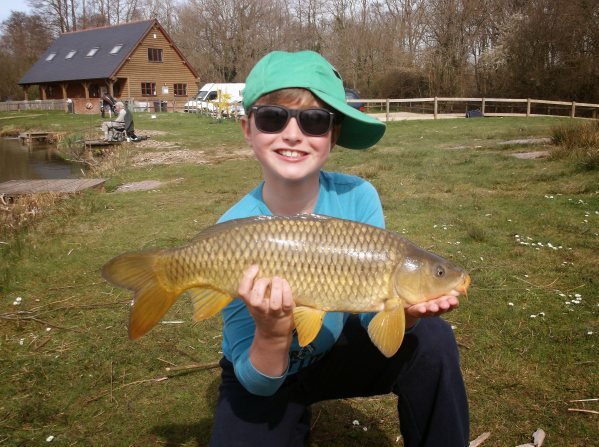 Come and enjoy a wonderful day's fishing with us and tell your friends all about it on the Guestbook page. 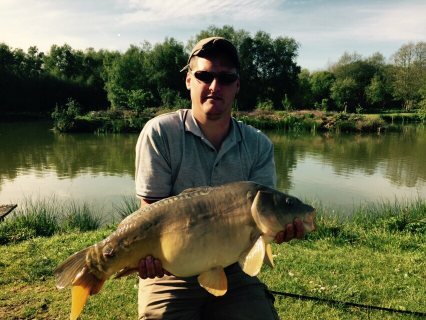 his face says it all - nice one Ryan! 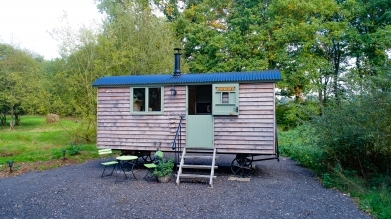 The Shepherds huts are completed and ready to hire!